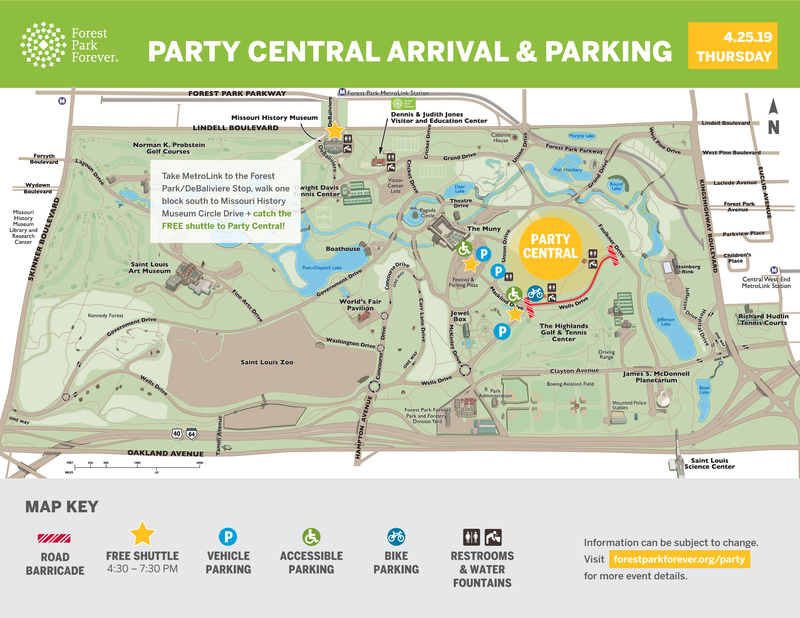 April 24, 2019— Join the City of St. Louis and Forest Park Forever for Party Central on April 25 from 4:30 p.m. until 7:00 p.m. Check out parking and free shuttle options during the event. April 19, 2019— Regrading, repaving and striping work at Forsyth/Lagoon and Skinker to start Monday, April 22, 2019 – weather dependent, lane restrictions likely. March 18, 2019 — Boathouse Paddle Co. offers boat rentals on the dock at The Boathouse in Forest Park, Saint Louis. Starting April 1st, they will be open Monday-Friday at 11:00 a.m., and Sunday at 10:00 a.m. renting paddle boats, canoes, kayaks and stand up paddle boards. February 26, 2019 — On April 25, 2019, the City of St. Louis and Forest Park Forever will formally reopen and dedicate Emerson Central Fields, the 30-acre Forest Park site that has been dramatically improved since it went under construction in June 2017. Learn more the free community celebration. December 19, 2018 — Work is underway on long-planned improvements to Boeing Aviation Fields, the popular fields for baseball and softball just north of I-64. Click for highlights of this project, which will result in more available playtime at these sought-after ballfields. August 28, 2018 — Construction to the Muny is planned to start the beginning of September. The restrooms at the upper Muny parking lot will be out of commission until April of 2019.